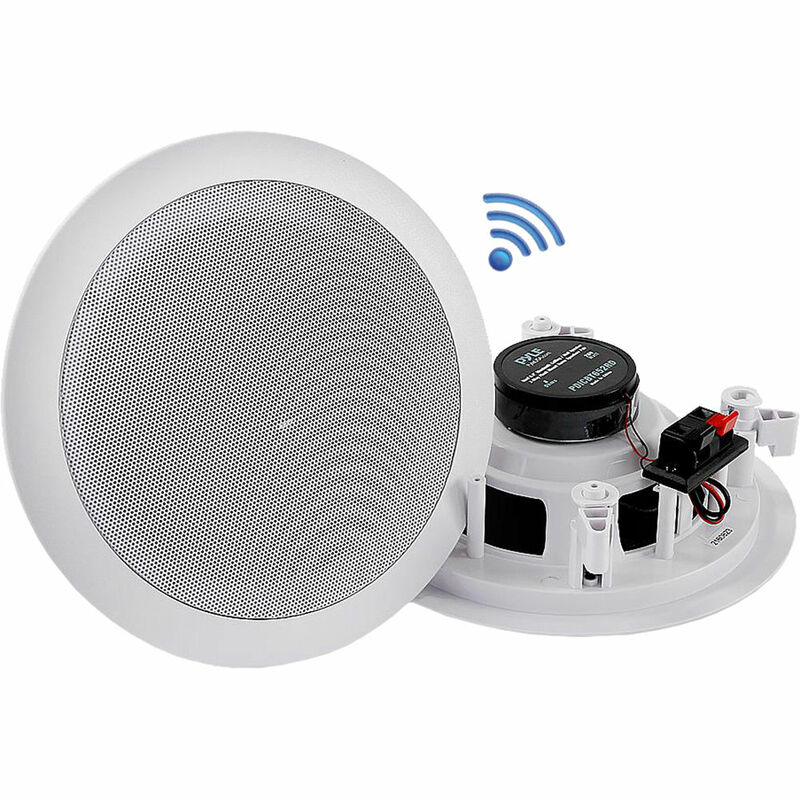 The pair of 5.25" Bluetooth Ceiling/Wall Speakers from Pyle Pro features 150W of output power and is equipped with a frequency response of 80 Hz to 20 kHz. With version 4.0 Bluetooth, the speakers include a wireless audio-control receiver that works with several of today's devices such as smartphones, tablets, laptop, computers, etc., for streaming music at a distance of up to 30' in range. The dual 5.25" speakers mount flush to walls or ceilings and include cut-out size templates for easy installation. Other features include a polypropylene cone with rubber edges and a 1/2" high-compliance polymer tweeter, and quick connect spring-loaded speaker terminals. The speakers are perfect for custom installations and applications. A power supply is also included. Box Dimensions (LxWxH) 8.9 x 8.5 x 7.9"